I have to admit, the new Apple Watch Sport Band colors have me a little giddy. Just as we’d hoped when Jony Ive teased these colors last spring, we have a bevy of beautiful Sport Bands to choose from now. No longer limited to black, white, or neon shades of green, pink, and blue, we have a rainbow of subtle, fun, and wearable shades. We’ve got warm neutrals like Walnut, Stone, and Antique White. There are cool neutrals like Fog and Midnight Blue. Two colors that I know many people have been clamoring for all over the Internet: (PRODUCT) RED and Orange. And finally, we have a selection of soft, sophisticated colors: Turquoise, Vintage Rose, and Lavender. Some of the new colors are available to ship in as little as five to seven business days while others show shipping times of five to six weeks. 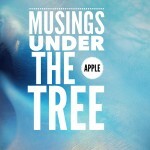 You might even get lucky and find some of the colors in the Apple Store now. As an added bonus, when watchOS 2 is released, you’ll see many of these new colors available for your watch faces. We won’t be limited to bright colors and white any longer. I am especially excited about this, since while I can’t always change my watch band to match my outfit, I can certainly change the color of my watch face every day. Two new Apple Watch Sport colors were announced: Gold and Rose Gold. They’re quite striking, actually, and it’s no surprise that a new wave of slightly used Silver and Space Gray Apple Watch Sports have recently hit eBay. If I were in the market for an Apple Watch Sport, that Rose Gold would be awfully tempting, particularly if I buy an iPhone 6s in that shade. 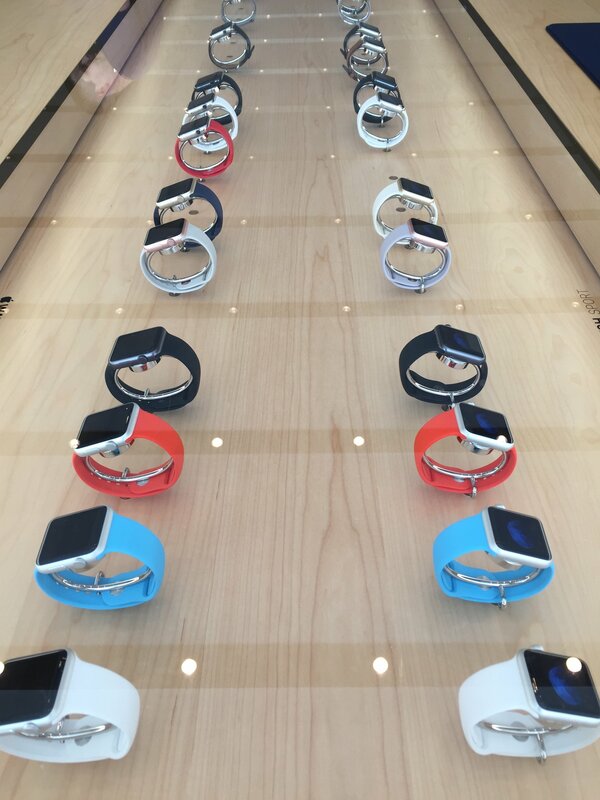 Note that you cannot buy an Apple Watch Sport with any color band you wish. Only 12 combinations are currently available to order on Apple’s site. You can get the Silver in either the 38mm or 42mm size with the Orange, White, or Blue band. Incidentally, the Blue is a new shade of blue – it’s slightly warmer than the old one but just as bright. 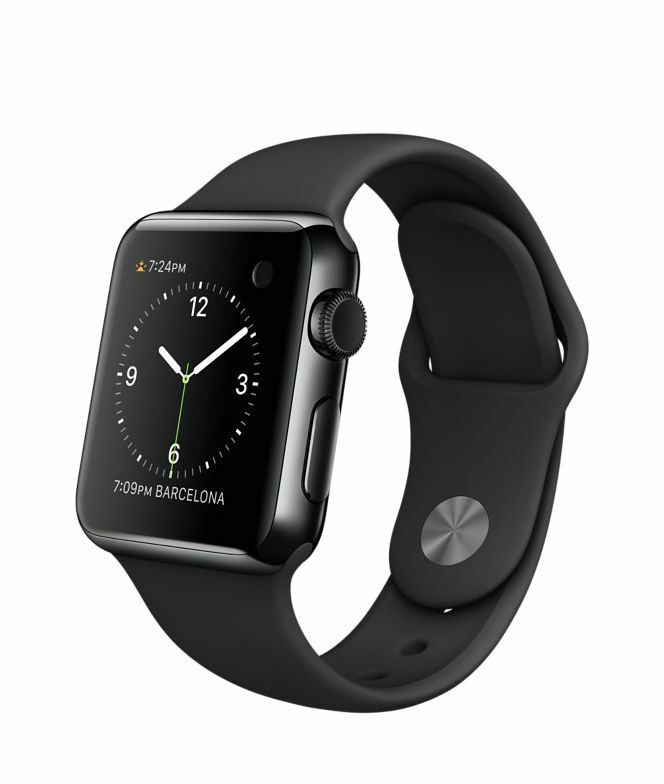 Space Gray in either size still comes with the Black band. 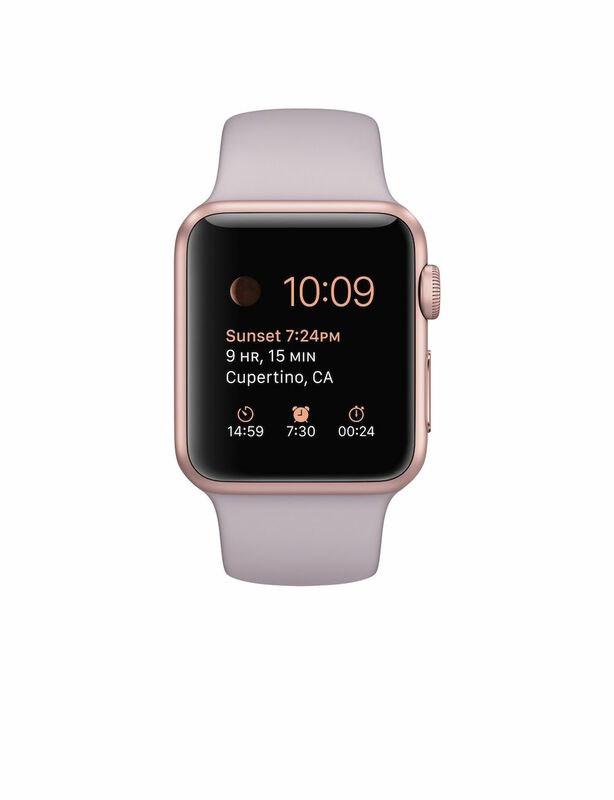 If you want a 38mm Rose Gold Apple Watch Sport, you get a Lavender band. If you want the 42mm, your band is Stone. The 38mm Gold Apple Watch Sport has an Antique White band, while the 42mm features Midnight Blue. All of the colors are quite lovely, actually, but I find it a bit silly that you can’t get a Watch with any band you want. Why not just sell the Watches and bands separately? That’s a rhetorical question, of course. Apple doesn’t want you to own just one watch band. At any rate, they are available right now in my local Apple store, so check the store in your area if you’re interested. Without making any formal announcement, Apple has made a slight change to the Classic Buckle. Some people have complained that the original Classic Buckle wasn’t secure, so Apple must have listened to those complaints. The new Classic Buckle has a two-toned look, with the inside being brown on the Black version, and lighter brown on the Brown one. Presumably the clasp is more secure, since I’m assuming that’s what prompted the change. If I already owned one of these, I’d be rather ticked at the switcheroo. Perhaps Apple will have a heart and swap out the older versions for the new one if the customer requests it. One can only hope. Save some bucks on your Space Black Apple Watch by skipping the Link Bracelet. Great news for anyone who wants the Space Black stainless steel Apple Watch, but doesn’t want the pricey Link Bracelet: now you can buy that model with a Black Sport Band instead. Hermès specializes in luxury goods, and the new Apple Watch is no exception. 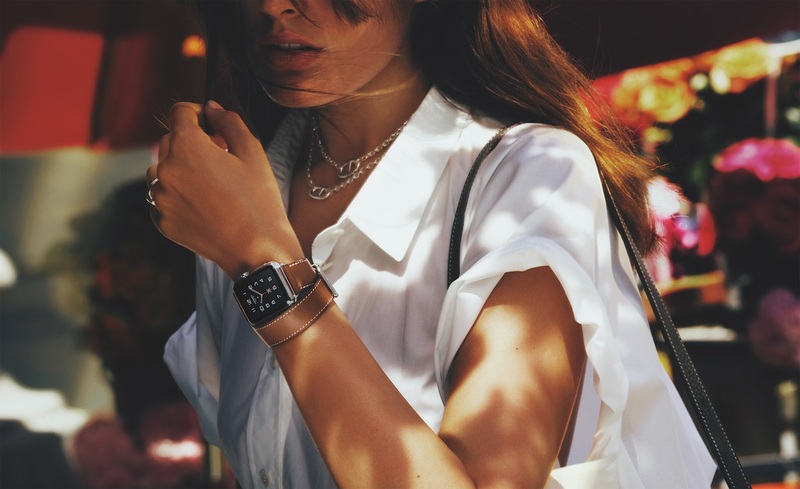 This partnership between Hermès and Apple has resulted in an Apple Watch that differs from the standard stainless steel model in two ways: a special face and a special selection of bands. The face, which looks very much like some of Hermès’ analog watches, is exclusive to the Hermès model. You can’t buy the bands separately, either. The bands are crafted from leather and come in three different styles and five colors. The Apple Watch with the Single Tour band, which looks like a standard leather watch band to me, will set you back $1,100. It comes in Fauve (brown), Noir (black), and Capucine (red). The Double Tour band wraps twice around the wrist and runs $1,250. In addition to Fauve and Capucine, it comes in Etain (dark gray) and Bleu Jean. And finally, the chunky Cuff style comes only in Fauve, only in 42mm, and costs $1,500. These are by no means inexpensive watches, but they start at the same price as the highest-priced Link Bracelet model. For people looking for a luxury name brand, the Hermès Apple Watches will fill a niche. They’re still significantly less expensive than the Apple Watch Edition. I won’t be buying one of these when they are available at select stores in October, but I do believe there will be a market for them. 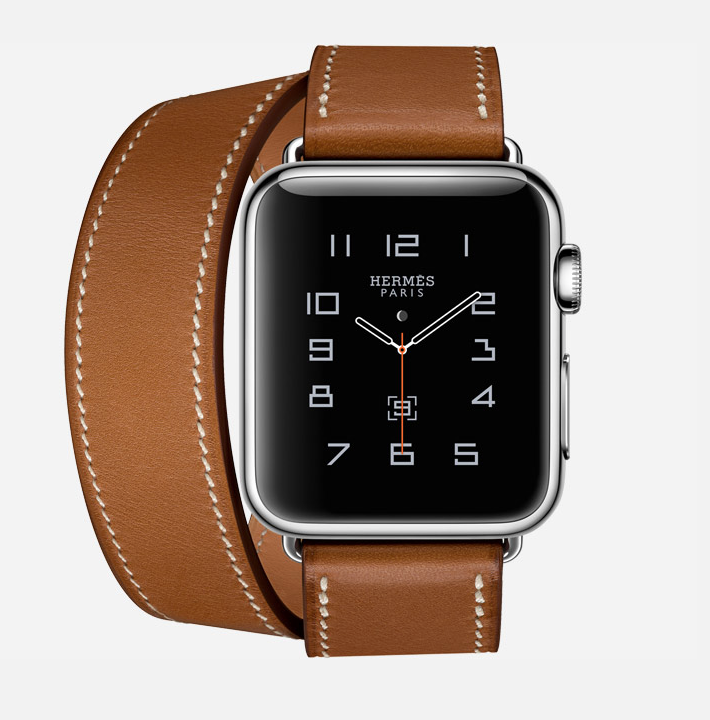 The fact that Apple has created an exclusive Hermès face for this special watch brings up another thought. 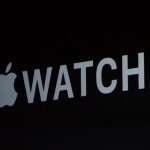 The watch faces are a big deal to Apple Watch owners. I believe that now we have the real reason why Apple has not opened up third-party faces to developers and probably never will. Apple is maintaining tight control over its faces so that they can continue to slowly trickle out products like this. 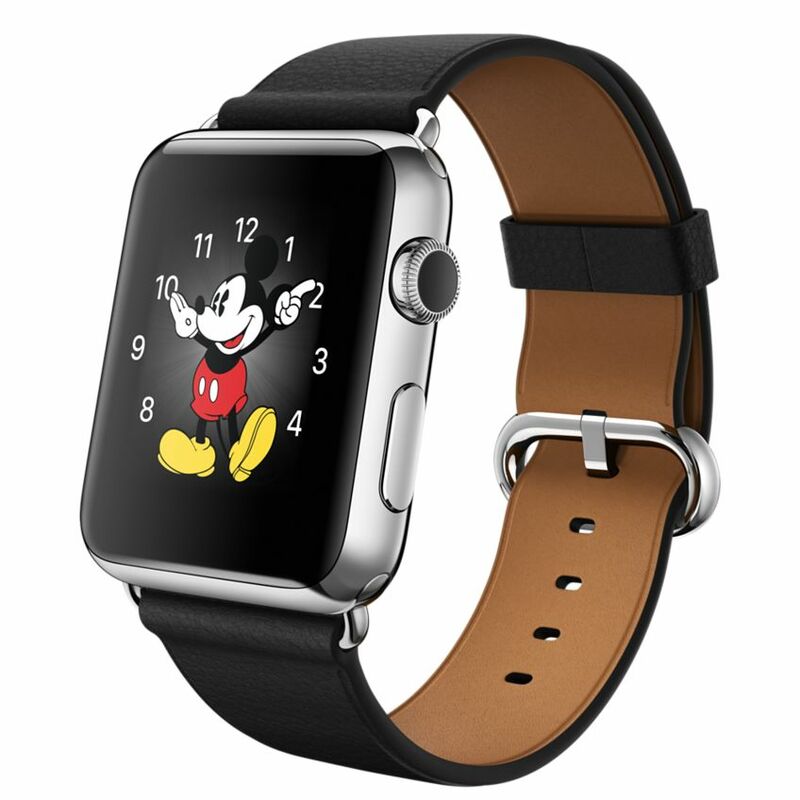 The Hermès Apple Watch has more value because you get not only a band, but also a face that no one else can have. You could always buy an Hermès band, or use a band from another watch, but you’ll never have the Hermès face on your Apple Watch unless you buy this particular watch from Apple. I wonder what other high-end brands Apple will partner with in the future. I’m sure that Hermès is just the first of several. I think that while none of these items are inexpensive, Apple has introduced some more affordable luxury for Apple Watch customers. Without spending $10,000 to $17,000 on an Apple Watch Edition model, you can get a high-end Hermès brand Apple Watch for $1,100 to $1,500. Instead of spending over $1,000 on a Space Black Apple Watch with Link Bracelet, you can get the exact same shiny black steel watch and sapphire screen with a Sport Band instead for less than $600. And finally, in the Apple Watch Sport arena, you can get that desirable gold or rose gold shade for $349 or $399, a tiny fraction of the cost of the Apple Watch Edition.